Definitely the cost of each finish i.e. Melamine polish, PU polish and Lamination / Polyresin polish varies not only in material cost but also in labor cost too. You shall know how and why in later part of the articles. But to generalize a good contractor will always have a look at site or home and provide you with a quotation. You may wonder why contractor needs to have a look. Well a good contractor will always suggest you the right and needed polish for your home. Sometimes, medium polish finish goes well for few homes or area while some homes need lamination finish to be done. And this only a good professional i.e. contractor can suggest you the best. Let me help you explain this with an example. Say a contractor gave you a quotation or Rs. 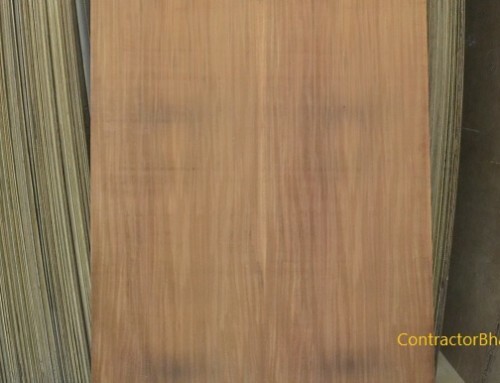 85 per square feet for melamine coat to be done for your home furniture. But may be after visiting the site he feels that melamine coat that costs Rs. 65 is good enough. Here what will happen is the contractor may use Rs. 65 melamine polish for your home but charge you Rs. 85 per square feet without letting you know. You i.e. the home owner is at a loss then. It may also happen that after visiting the site the contractor may feel a higher grade polish needs to be used and not Rs. 85 one. The client may feel uncertain at times. So as I said earlier, if you have hired good, known contractor he will always visit the site before giving in any costing quotations or details to you. Usually polishing costing is given on per square foot basis but there are few contractors who measure in running feet. A good contractor here again will mention these details too. A local contractor will often quote say Rs. 80 per square feet which he asks you to calculate as per you house requirement or room. Well this is really amusing for how can a home owners calculate different small areas. That’s his job. Well no matter what or how the quotation is given, usually the cost increases then actual quotation due to imperfections in application or weather condition, etc. An extra coat is needed to be applied. The cost of Any polish i.e. Melamine polish, PU polish and Lamination / Polyresin polish is measured in similar manner i.e. in liter for polish and in square feet for its application or labor charges. PU (polyurethane polish) – PU polish too is available in different grades, style and finish i.e. gloss and matt. The cost therefore varies from Rs.165 to Rs.210. In PU polish you have clear polish, white polish, Imported Pu polish, Indian PU polish, standard gloss polish, high gloss polish and many more, therefore the cost will majorly vary in PU polish itself. If you happen to visit Asian Paints, they have 3 different types of PU polishes for which the cost varies. Say for eg. You have polishes of Rs.600, Rs.800 and Rs.1,100 per liter ( this is just an assumed cost, they are not real prices). The cost of polish varies with its costing type. Well to be true the polish solution doesn’t really cost much. It’s the labor charge that be amaze you. The labor cost is almost 3 to 4 times more than polish solution cost. Say if the polish solution is for Rs.100 per liter, its application will cost you Rs.300. Well application of polish or finish doesn’t only involve brushing or spraying the polish solution. 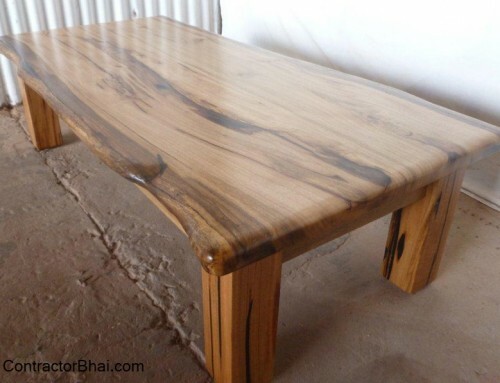 The wooden surface is treated with and many other process are carried apart from polishing. This includes, Setting up your workspace, making the wood ready for application, sanding, using tapes, thinner and other accessories and process too. The cost of all these process and accessories is included in the final labor cost given on per square feet basis. The labor cost that is quoted includes other cost to i.e. the transportation cost of laborer, his snack and tea cost, etc. which is practically difficult to give in such minor cost details. Lastly, Also the sadi(Kapda) Initially the labor may feel one is enough but then when work starts he realizes that he may require 2-3 so the cost again increases. 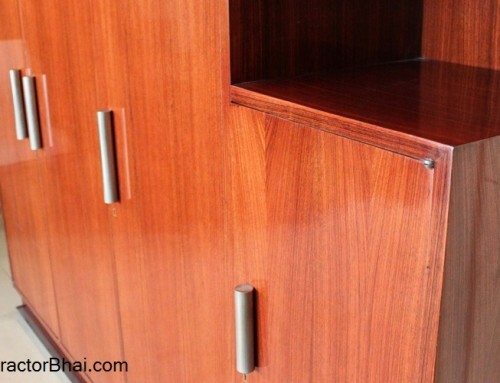 Polyresin / Lamination finish – the cost ranges from rs.250 to Rs.410. Polyresin finish or Lamination finish is an expensive polish since there are almost 10-14 coatings done to achieve the desired finish. Well the number of coating may vary which depends on site, but the cost doesn’t vary much. Sometime the number of coating also depends on the veneer color and style. Like for a light colored veneer wood, no matter how many coatings of lamination polish is done, it will appear light only, therefore not many number of coats are applied. Similarly for dark colored veneered wood, not many coatings are applied since the color will appear to be dark only. But if depth is the matter of choice, then contractor will have to do say 15 coats even if not required. Greetings! 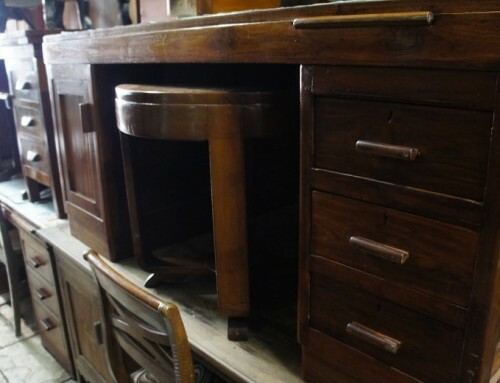 I plan to “French Polish” my 3 decade old teak wood dining set (4 nos high back with cushioned base chairs and a 3′ x 4′ simple laminated top table). I have actually calculated surface area viz. chair 11.00 sq ft each and table 17 sq ft. Please provide estimate in Pune region. Many thanks in advance. 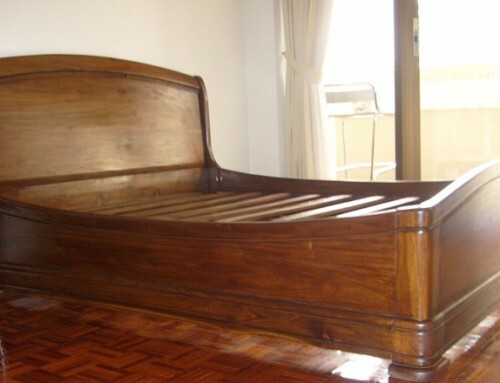 I am planning to polish my 4 wooden washbasins and a double bed made of rubber wood. The options available are imoorted PU of berger (semi gloss) with sirka stain.. heard of melamine polish also. Which one is better. And how should I get the dark wood finish. Well explained. All the best!! I want to know the details for calculating the polish area of teak window with glass in middle. Double Bed Polishing needs to be done.